If you are evaluating Gamification in your learning strategy, you will have several questions related to it. Read this article to gain insight on what is Gamification for serious learning, what are its advantages, how will it impact learning. Additionally, you will learn if it can be applied to various training needs and if it will meet specific learning outcomes. 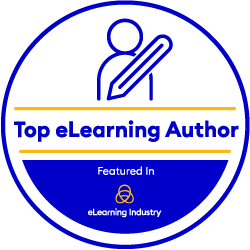 Please check EI Design for more eLearning, Gamification, legacy course migration (Flash to HTML5), Microlearning, Social Learning, and mobile Learning resources.